Having fine, thin or thinning hair can be frustrating. You constantly need to wash your hair to keep it looking fresh, but overwashing it leaves it dry, brittle and frizzy. Hair products made for normal or thick hair merely weigh down fine and thin hair, making it look worse. There are some hair care products made specifically for fine, thin and thinning hair. There are many shampoos and conditioners geared to add volume to hair, and it seems like a new one is coming out every day. "Volumizing" shampoos and conditioners claim to work by coating the hair shaft and "plumping" each strand of hair to make it appear thicker. One of the long-running brands, Fuller Thicker Hair, uses Cell-U-Plex, which it says is a "synergistic blend of pure plant extracts, vitamins, and protein that infuses that hair shaft to thicken, improving hair's overall vigor to instantly bodify and amplify fine, thin hair." It also claims that continued use makes the hair fuller and stronger over time. 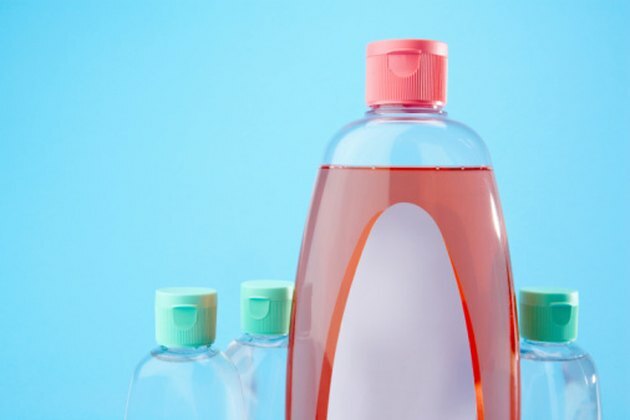 Each brand seems to have its own "special ingredient," but the jury is still out on whether these shampoos and conditioners really work. According to stylist.com, the efficacy of volumizing shampoos is a myth. They agree that volumizing products help thinning hair because they are formulated to be lighter, but "95% of volume is achieved from a product and blowout." Rather than blindly believing the hype, try a few recommended products and see for yourself if it's a myth, or magic. Good Housekeeping rated Pantene Full & Thick as the best overall hair thickening shampoo and conditioner, reporting that their panelists agreed that the products "made their hair look smoother and feel softer, in addition to improving the overall appearance of their finished hairstyles." Those cost about $4 each. While volumizing products may vary in quality, they do work. Unlike shampoos and conditioners, which wash out, volumizing mousses, root lifters, serums and sprays stick to the hair shaft, providing added texture and volume until you wash them out. There are a lot of brands out there, with a wide price range. Stylist.com suggests that price does matter and that a more expensive product is going to work better and be better for your hair because it has better ingredients. However, choosing hair products really is a personal experience, and what works for one head of hair may not work for another. Test a range of products to see which ones you like best. To get you started, hairboutique.com recommends the following volumizing styling products among its list of "Eight Great Hair Volumizing Products That Really Work": --PhytoVolume Actif --got2b - 2sexy Voluptuous Root-Lift Souffle --JF Lazartigue - Hair Volume Tonic --Rene Furterer Anti-Dehydrating Volumizing Mousse Soft Hold --Leonor Greyl Voluforme Setting Spray For Volume & Hold. Applying permanent or semi-permanent hair color is another way to plump up lifeless strands. Hair color makes hair look thicker by roughing up the hair's shaft, creating little nicks and crevices in the shaft which makes it appear fuller. So, it's not the healthiest option, but in a pinch, it works. Henna, a natural plant-derived hair color that has been used for hundreds of years in some Asian countries, is a good alternative to chemical hair colors. Henna contains proteins that coat the hair shaft, smoothing it and depositing semi-permanent color. You can choose to have henna applied at a salon, or you can do it yourself. Just be careful, because the colors are not as predictable as the chemical brands.